As a mama who remembers the long slog of many months spent pumping at work, I have a soft spot for innovations that make life easier for working moms. When I met Abbey Donnell, an expectant mom, entrepreneur, and Certified Lactation Counselor, I knew I had to share her story here. Building lactation suites into big corporate campuses may be a given. But what if you’re one of many companies renting space in a larger office building? If you’d like to support your new parent employees by providing them with a clean and friendly space to pump and a community of support, Abby has your answer! Can’t wait until her spaces are in more places. Mindful Return: Tell us a little about your company, Work & Mother. What’s the concept, Abbey? Abbey: Work & Mother is creating a network of fully-equipped lactation facilities that support working mothers. 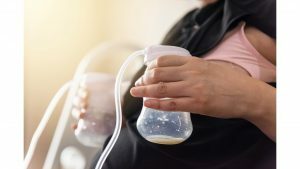 These facilities make it easy for employers to be in compliance with Fair Labor Standards Act (FLSA) regulations, which require them to provide access to a space for women to pump breast milk during the workday. Our facilities have everything a woman needs to pump. This includes hospital grade equipment, spare parts and accessories, cleaning supplies, refrigeration, and storage. In addition, we provide an extensive support network comprised of lactation professionals, educational programming, and cohorts of other working moms. 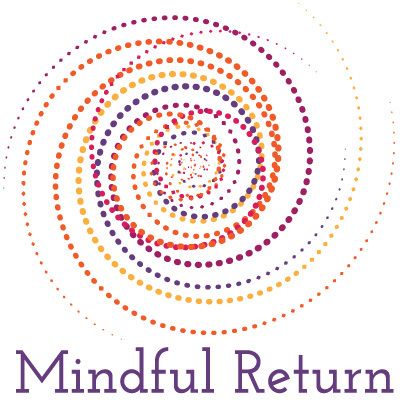 Mindful Return: What inspired you to develop this company? Abbey: When I was in business school, all of my closest friends began having babies. We’d get together and it seemed like the conversation constantly revolved around the difficulties of breastfeeding and going back to work. I heard countless horror stories of people having to pump in closets or bathroom stalls. Getting walked-in on or harassed by coworkers. And these things were happening at big, prominent firms. The type that should have had the space and resources to provide better solutions. I didn’t have kids at the time. But I knew I wanted to have them soon and that breastfeeding was an important part of the equation. I just thought to myself, there’s no way I am going to pump in that kind of environment. So, I decided to create the space and supportive community that I wished had been around for my friends. And that I wanted for myself. I’m currently expecting my first and it’s really exciting and comforting to be surrounded by all these awesome, hard working moms! 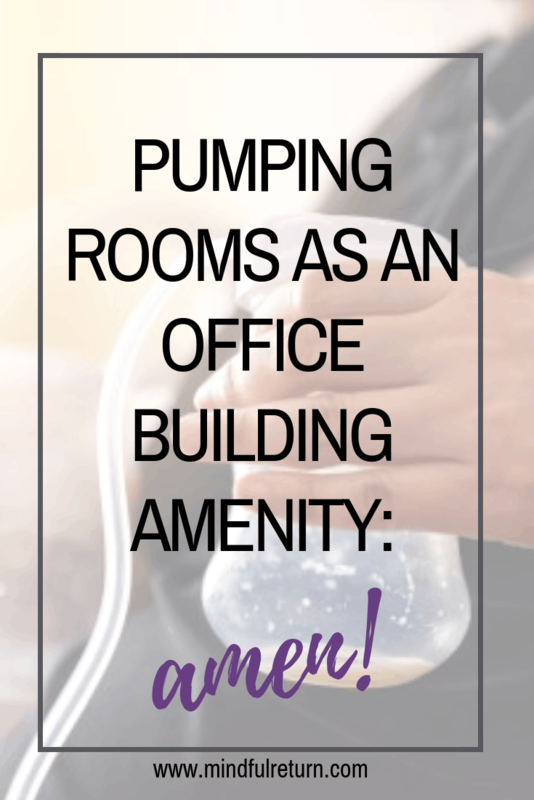 Mindful Return: How does a working, pumping mom use your facilities? Abbey: Once enrolled as a member, the working, pumping mom has access to Work & Mother’s membership platform, which allows her to reserve rooms and book appointments with lactation counselors. All members get an access keycard, locker, hospital-grade pump attachment kit, and more. From there, she can come and go as she pleases, taking full advantage of all of our cleaning and storage options. She never has to worry about packing up a pump bag and lugging it to and from the office each day. It’s really freeing knowing everything she needs is already there waiting for her, so she can truly be present and content when at home with her baby and focused and efficient while at work. Mindful Return: How do your facilities work for an employer whose employees are pumping? Abbey: Our facilities operate much like building gyms. Rather than each employer trying to develop in-office solutions, they can simply enroll in our corporate membership program. Enrolled companies get memberships and access for their employees, their company listed on our directory of “Mother-friendly workplaces,” discounted tickets to programs and events, and materials to use for their own recruiting purposes. By outsourcing the pumping room, employers can minimize HR risks, preserve their own office space, and improve recruiting and retention of top female talent. Mindful Return: How do your facilities work for a building management company? Abbey: We work with the building management to turn a very small amount of underutilized space into a very impactful amenity for the building. Mindful Return: I know your current facilities are located in Texas. What can we expect to see next from Work & Mother? Abbey: New locations! Can’t announce them just yet. But we have some exciting things in the works. We are also working with partners on expanding our programming offerings, so stay tuned! Mindful Return: Have you received any feedback from mamas who have used your pumping spaces? If so, what have they said? I was very fortunate to have my firm sign up for the first Work & Mother location. The Work & Mother concept is a game changer for mothers coming back to work from maternity leave, because it allows a new mom a seamless way to continue breastfeeding. The space provides everything you need. 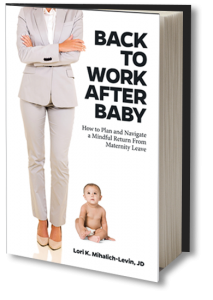 Machines, supplies, storage, privacy, cleaning – which reduces stress and allows a new mom to focus on work. The facility is less than a five minute walk from my desk. And the space is gorgeous. It is relaxing and spa-like. The best part of having this space available was that I could more easily transition back to work with less stress and more productivity. It would have been much more difficult if I did not have access to this amenity. It’s amazing! Abbey Donnell is the Founder and President of Work And Mother Services, LLC. Before devoting her work full time to Work & Mother, Abbey served as Creative Director for a marketing firm. 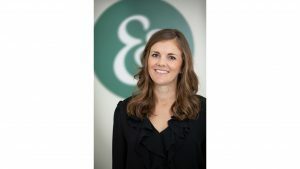 Abbey completed her undergraduate degree at the University of Colorado at Boulder, has an MBA from Rice University, and is a Certified Lactation Counselor.